According to Cohn, the history of caste census could be traced to the late 18th century, when the British, after having reserved the right to collect revenues in Bengal, undertook a process to collect, among other things, information about the history of districts, leading families and their customs, agricultural and craft production, etc. It was the same process of collecting information that culminated in the full census of 1871-1872, marking the beginning of pan-India decennial census. The noting of caste, which began with the first census, was dropped after the 1931 census. (Actually, the 1941 census was interrupted and thus rendered incomplete and invalid by the outbreak of the Second World War.) After decades of struggles by the Backwards, the UPA government eventually agreed to resume the process through the 2011SECC. Congress-led UPA II approved SECC in 2011 after debate in Parliament. 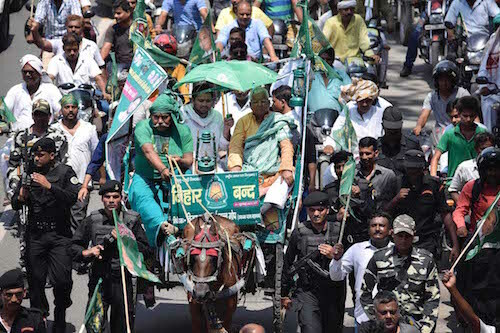 Both the Congress and the BJP were internally divided over the caste-based census. It was the first time after 1931 that caste census was undertaken. The counting was launched on 29 June 2011 from Sankhola, a village of Hazemara block, West Tripura district. This was the first paperless census in India in which hand-held electronic devices were used. The SECC 2011 was carried out in all states and union territories of India. 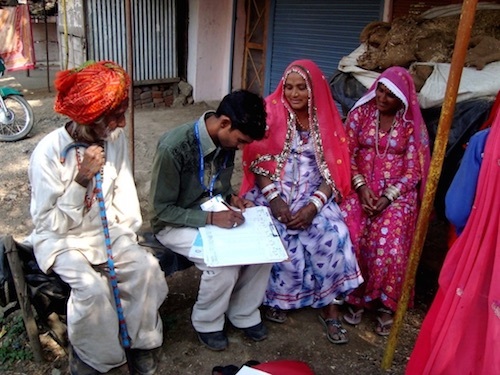 The Ministry of Rural Development, Government of India, conducted and coordinated the census. The SECC is aimed at finding out the “multidimensional” aspects of poverty. It has also gathered information about rural households to enable the state to carry out a more effective targeting of government schemes. Finance Minister Arun Jaitley released some of findings in New Delhi on 3 July 2015. Under pressure from the opposition parties, the Cabinet approved setting up an expert group headed by Niti Aayog Vice-Chairman Arvind Panagariya. However, no time frame has been fixed for the publication of the caste census.